Last month, Mazda . At the time, we speculated that it could revive the CX-7 . Well, it turns out we were wrong because Mazda has unveiled the CX-30 at Geneva, a new stylish compact crossover that slots between the CX-3 and CX-5. 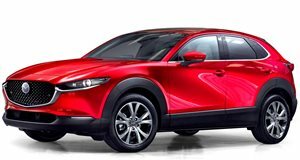 If you were wondering why it isn’t simply called the CX-4, the only reason we can think of is because the name has already been taken by the China-only model. 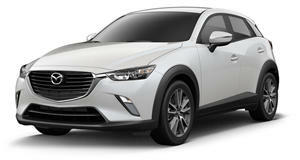 Mazda says the CX-30 "combines the bold proportions of an SUV” with "elegant styling that embodies Mazda‘s Kodo design language.” As a result, it looks less aggressive than the CX-5 but sportier than the CX-3, with lower ground clearance, a longer length and shorter overhangs than its smaller sibling, resulting in an attractive design. It measures 173 inches long, 71 inches wide, and has a wheelbase of 105 inches. Compared to a Mazda3, the CX-30 has an extra 0.98 inches of ground clearance, and 15.1 cu.ft of volume inside the trunk, compared to the 3’s 10.4 cu.ft. Inside, the CX-30 features "relaxed and user-friendly packaging” with seating to fit four adults comfortably, while the increased height over a passenger car provides improved visibility on the road as well as easier access inside the comfy cabin. In Europe, the CX-30 will offer a 2.0-liter inline-four gasoline engine and a 1.8-liter diesel, with both manual and automatic six-speed transmissions. Mazda's will also be available, which will feature mild-hybrid technology like the 2.0-liter unit. US engine options haven’t been confirmed yet, but the diesel model probably won’t be available. An optional all-wheel drive system should also be available. Sales for the Mazda CX-30 will kick off in Europe this summer, so US sales should start soon after later this year. Pricing details haven’t been announced yet, but expect the CX-30 to start at somewhere between $20,000 and $24,000 to slot between the CX-3 and CX-5's pricing.